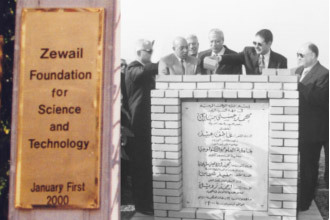 The cornerstone of Zewail City of Science and Technology was laid on January 1, 2000 in the Sheikh Zayed District of 6th of October City, Cairo. Present at the ceremony were Dr. Ahmed Zewail, then Prime Minister Dr. Atef Ebeid, and a number of ministers including Ahmed Nazif, who later became involved in his capacity as Prime Minister. After many delays in the City’s establishment, the January 25 revolution in 2011 led to the revival of the initiative, and Dr. Zewail was asked by the Egyptian government to form the Supreme Advisory Board and re-launch the initiative on its original site. On May 11, 2011 the Cabinet of Ministers issued a decree to establish the National Project for Scientific Renaissance, and named it Zewail City of Science and Technology. The City was officially inaugurated on November 1, 2011 in two buildings belonging to the Egyptian government on the Sheikh Zayed premises. 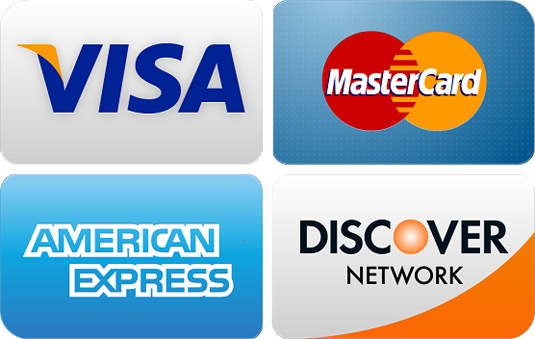 The final legal status was established when the City was granted law 161, issued on December 20, 2012. This law outlines the City’s aims and constituents, as well as its financial and administrative structures. Former Egyptian president Adly Mansour issued decree 115 on April 9, 2014 granting 198 acres to Zewail City for the construction of the new campus in the October Gardens of 6th of October City. President Abdel Fattah al-Sisi decreed that the new campus be built by the Engineering Authority of the Egyptian Armed Forces and inaugurated in a one-year time frame. Zewail City’s University of Science and Technology and Research Institutes are now fully operational at the Sheikh Zayed campus—in accord with decree 832 granted by Prime Minister Ibrahim Mahlab—until construction of the new campus is completed. The headquarters is also fully functional in Cairo’s Garden City. Following the January 25 revolution and with a strong national will, we are certain that, as our motto indicates, “Egypt Can” elevate local technologies to the world level and increase national productivity in a relatively short time. In this age of science there is no choice but to ignite a renaissance in education and scientific research. Knowledge is the light of life, and as such, it is vital for progress and prosperity. Zewail City of Science and Technology will catalyze the transition towards acquiring the modern sciences of today and tomorrow. The 20th century witnessed revolutions in science and technology that transformed the world. These discoveries and innovations came about as a result of a strong foundation in basic research – the science base – with scientists working in an atmosphere conducive to attracting creative and independent minds. Examples are numerous: the laser and transistor were the fruits of curiosity-driven basic research, and now they constitute a trillion-dollar-plus world market. The 21st century has also ushered in revolutionary advances but in new frontiers, some of which redefine the meaning of time and distance. In the age of information technology, miniaturization and genomics, we can now communicate with other planets in minutes, manipulate matter at the nanometer and femtosecond scales, and slice or silence a gene. From the infinitely small world (nanoscience and nanotechnology) to the extremely large (cosmology), and to the world of complexity (life sciences), there is no doubt that new innovations will emerge and knowledge-based societies will have the lion’s share of productivity and progress. It is also certain that scientists will make new discoveries in the 21st century and beyond that will have a continuing impact on the lives of people in many areas; in particular those concerned with health, information, energy and the environment. Moreover, because productivity at the international level requires the integration of human resources, capital and technology, it is impossible for a nation to have a real impact on the global economy without a solid scientific base. In the coming decades, the challenges we face are many, from the search for alternative energy and food sufficiency, to the anticipated development of artificial intelligence, to the questions raised by genetically or silicon-modified species. Science remains the key for assessing the benefits and risks involved and for providing new opportunities for development. Zewail City of Science and Technology, through its graduates and facilities, will enable such opportunities. For a national project of this magnitude to succeed, there are three essentials, each representing a cornerstone on which the project depends. First, the academic vision must be charted. 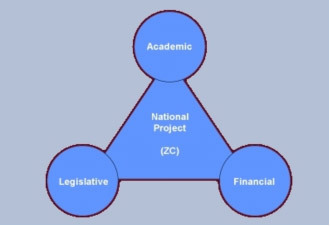 This vision was articulated in 1999 and has been augmented since then, with the objective of structuring science and technology to reach an international standard of excellence while at the same time retaining uniqueness in the scope of problems that are of particular relevance to the region. The second essential of the triad is the establishment of the legal entity. The Cabinet of Ministers’ decrees were essential for defining the legal status and for giving Zewail City of Science and Technology its identity as a national project. Equally important was the endorsement by the Supreme Council of the Armed Forces. The special law for Zewail City law no. 161 for year 2010 has enabled it to be a nonprofit, independent institution and to fully utilize the decrees for the national good.